Immersed in the peace of the hills surrounding Sivota bay, Villa Kastos is a perfect place for enjoying unique holidays in the name of nature, leisure, relax and fun. Waking up with the breath-taking view over the bay and the surrounding islands, including Kefalonia and Ithaka, the mythical Ulysses’ Island; resting on the terrace, surrounded by Olive trees and the typical Mediterranean maquis, bathing in the infinity pool while enjoying your favorite cocktail, or leaving for an excursion to the gorgeous beaches of Lefkas. These are only a small part of the experiences you will make your holidays unforgettable. There are only two villas - Villa Kastos and Villa Kalamos - at a 16 000m2 land overviewing the entrance to Sivota bay, with private parking lot and direct access to the seaside. Rocky stairs will give you easy access to the crystal clear sea water. The villas are oriented differently to offer privacy from each other. Villa Kastos is composed of 2 floors that can also be employed as two independent apartments making it an ideal accommodation for families or group of friends. A staircase to the 2nd apartment is located outside. Each floor is fully equipped and furnished with, among others, color TV, DVD player, Hi-Fi, air conditioning, internet access, washing machine and a full-optional, modern kitchen with a dishwasher, an oven and a microwave oven. A private infinity swimming pool (7,50m x 3,50m; 1-1,80m deep) with beautiful outdoors areas is designed to provide you space to relax yourself. Whether its sunrise or sunset hours, or an evening swim, you will be surrounded with just magical views all around yourself. To choose Villa Kastos for your vacation is a lifetime experience. 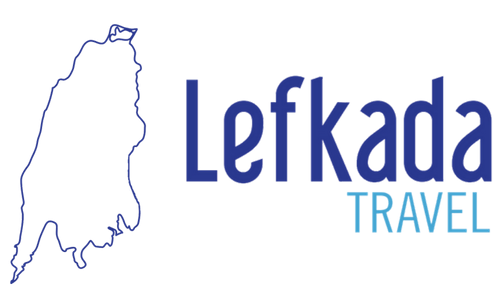 Our selected portfolio of partners is ready to provide quality services such as babysitting, chef at home, massages, yoga, boat rentals (sailing or speedboat), car rentals, mountain biking, sea kayaking, scuba diving or hiking in Lefkada hills. Our team will be available upon your arrival to introduce you the villa and the Island and will guide you through various activities and sightseeing options you may want to enjoy during your stay. My comments only relate to the property and in no way reflects upon Lekada Travel Sorry to pass this comment but we were without hot water in the ground floor unit for most of our stay which was down to the owners allegedly. The air conditioning did not function properly on the first floor and we had problems with the shutters due to poor maintenance. Villa Kastos amazing villa with an amazing view! Our 2 families had a great stay in the villa. We loved the private access to the sea for our daily swims. Jerome is very accommodating host and we can't wait to come back to Lefkada. Thank you! We had an amazing time in the villa. Wonderful stay, exellent equipped house with all needed facilities and the most beautiful view ever! Highly recommended!! Perfect stay. We felt in love with this villa and Jarom was the nicest host ever. The house is very large, modern equipped and with the most beautiful view. Very clean and with all extras you need for the stay. Nice swimming pool too. We had wonderful stay. The last 1km of the road is havy, but not that bad even for sport cars as ours.